RadCalendar is a control that displays a calendar representation from which the user can select a date. 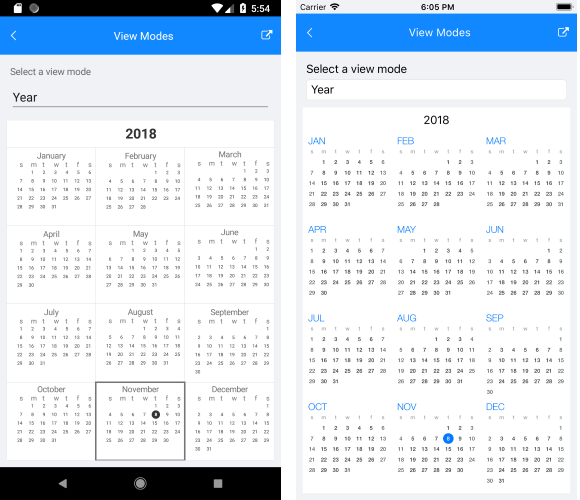 There are various View modes that specify what is visible in the Calendar views: a day, few days, a month, a year. 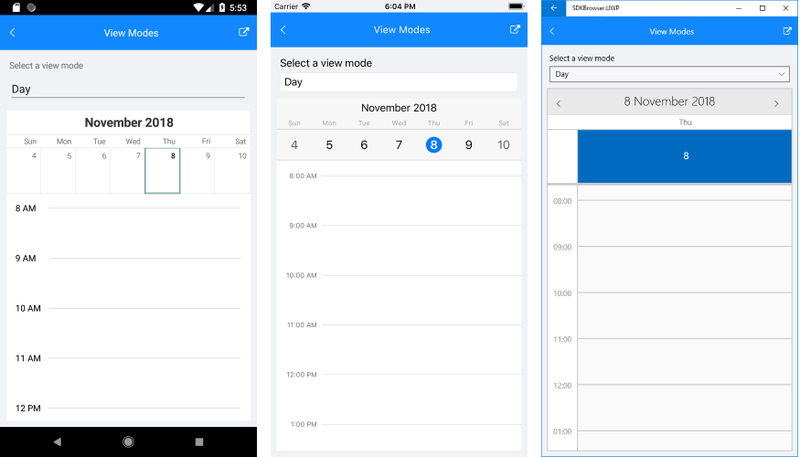 You can refer to the MultiDay View topic for detailed information on the recently added MultiDay view mode of RadCalendar. Keep in mind that setting ViewMode property to a value that is not supported on the current platform would throw a NotSupportedException. 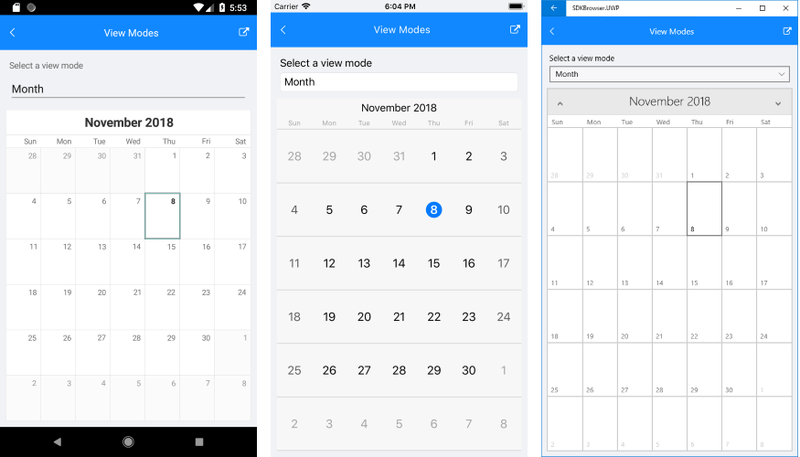 bool TrySetViewMode(CalendarViewMode view, bool isAnimated = true): Tries to set the view mode of the calendar to the specified value. If the view mode is supported, the method returns true, otherwise returns false. bool TryNavigateToUpperView (bool isAnimated = true): Navigates to upper view if possible. Returns true if navigation has been successful, false otherwise. bool TryNavigateToLowerView (bool isAnimated = true): Navigates to lower view if possible. Returns true if navigation has been successful, false otherwise. NativeControlLoaded (EventArgs): Occurs when the renderer has finished preparing the native control. NativeControlUnloaded (EventArgs): Occurs when the native control is in invalid state. Following is a quick example on how these could be used. When the control is loaded, you can change the view mode.